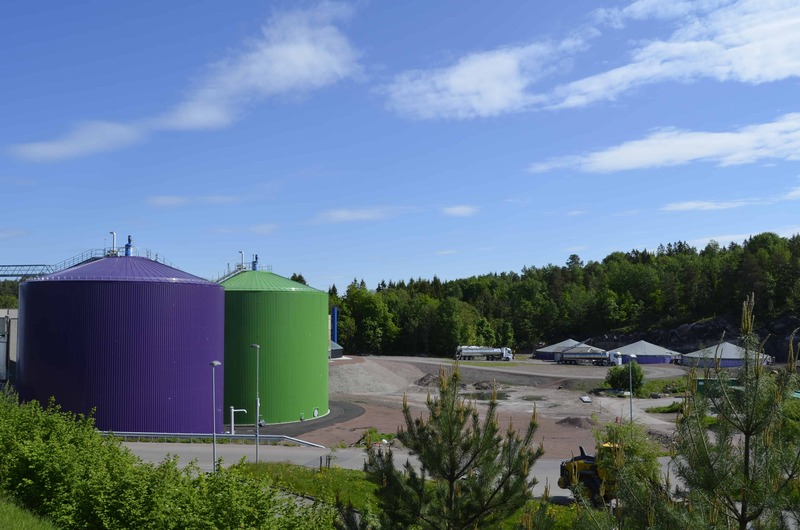 The Magic Factory outside Tønsberg represents the cooperation between Greve Biogass and Vesar. 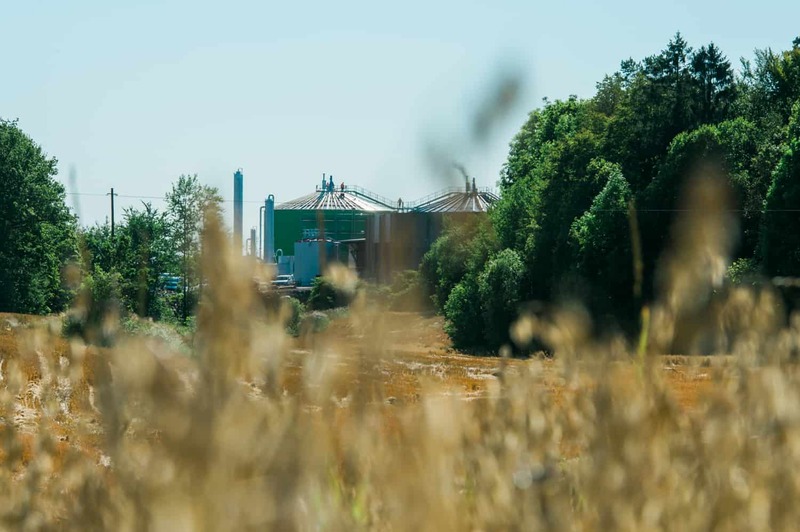 The biogas plant recycles food waste and manure into climate-friendly biogas and valuable bio-fertilizer for the production of new food. The food waste comes from households in Eastern Norway and the manure comes from farms in Vestfold region. Currently some 110 000 tons of food waste and manure are recycled annually at the plant, yielding a biogas production equivalent to 6.8 million liters of diesel fuel. The biogas is primarily intended for use as vehicle fuel. The Magic Factory’s goal is to become an international pioneer for green carbon capture. 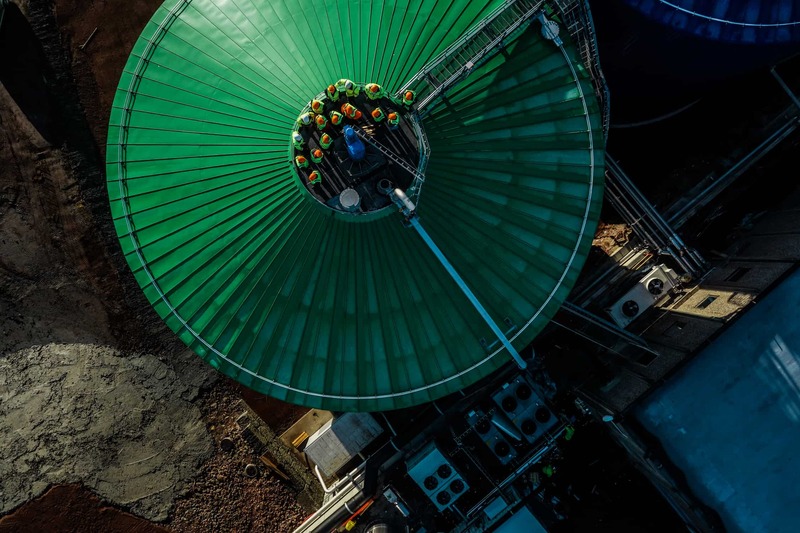 Carbon capture takes place through renewable and green CO2 from the factory being used inside industrially-adapted greenhouses for food production, together with bio-fertilizer from the factory. A Magic Pilot Greenhouse is under construction for testing, with a plan for rolling out industrial greenhouses for local food production. Work is also under way on a knowledge and visitor center next to The Magic Factory. The factory contributes to significant reduction of climate emissions, green growth and value creation in the region. The Magic Factory wants to expand and increase its production capacity in line with the ever-increasing need for green growth in the region and the rest of Norway. In addition to the actual biogas plant where biogas and bio-fertilizer are produced from food waste and manure, the partnership and the various projects and associated activities mean that The Magic factory is much more than a mere factory. Vesar’s goal is for 70% material recovery before the year 2020. The Magic Factory plays a major role in the work towards attaining this goal, both in terms of highlighting that the waste we sort at source is transformed into something worthwhile, and in relation to working with children and young people. A knowledge and visitor center in association with The Magic Factory will provide children and young people with valuable knowledge and understanding of the subject areas linked to recycling, source sorting of waste, renewable energy, etc. The Magic Factory also wants to have important influence in relation to business development in the region. For example, in agriculture in connection with investments in storage facilities and spreader technology for bio-fertilizer, and in collaboration with the greenhouse sector, enabling the establishment of industrial Bio-CCP (Carbon Capture Products) greenhouses. In this respect the capture and use of green CO2 and bio-fertilizer in greenhouses will boost local food production.